The new LiveProfile coming soon! A simple way to chat and share with friends. It's fast, free, and secure. Share with friends and groups. Post text, photos, videos, music, polls, GIFs, links and more. 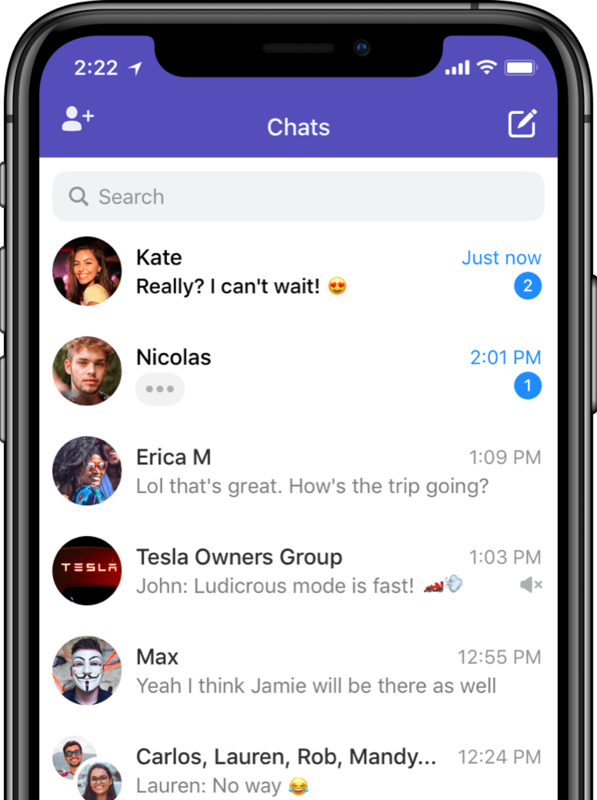 Connect with friends, classmates, coworkers or make new friends with public groups. Send text, photos, videos, voice notes, GIFs and more anywhere in the world without SMS or MMS fees. Your privacy is our top priority. We utilize end-to-end encryption and other industry leading standards.